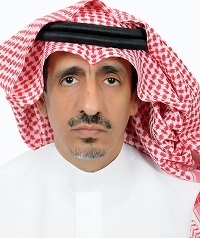 Faisal Alsharif has extensive experience in construction project management in public and private sector. He is a writer and researcher in the field of construction project management and has published many articles and papers. He served as Project Manager with MODA/GDMW, Tabuk Cement Co., Astra Construction and Riyadh Chamber. He has experience in project management consultancy for many public and private clients. Moreover, Alsharif is certified Consultant Engineer from Saudi Council of Engineers and CPMO, CIPM, he is also member of many professional associations. Alsharif earned Bachelor degree of Architecture from King Saudi University in addition to MSc and PhD from Heriot-Watt University in construction project management specifically in PPP project's financial management. He is currently working as a Senior advisor of Privatization and PPP with National Center of Privatization.